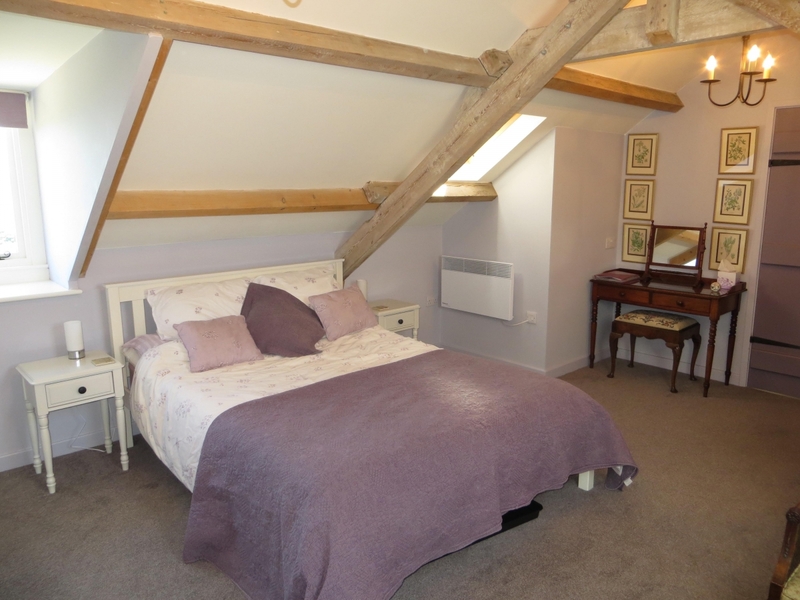 This large first floor room has a king size bed and enjoys a panoramic view over countryside and coast. 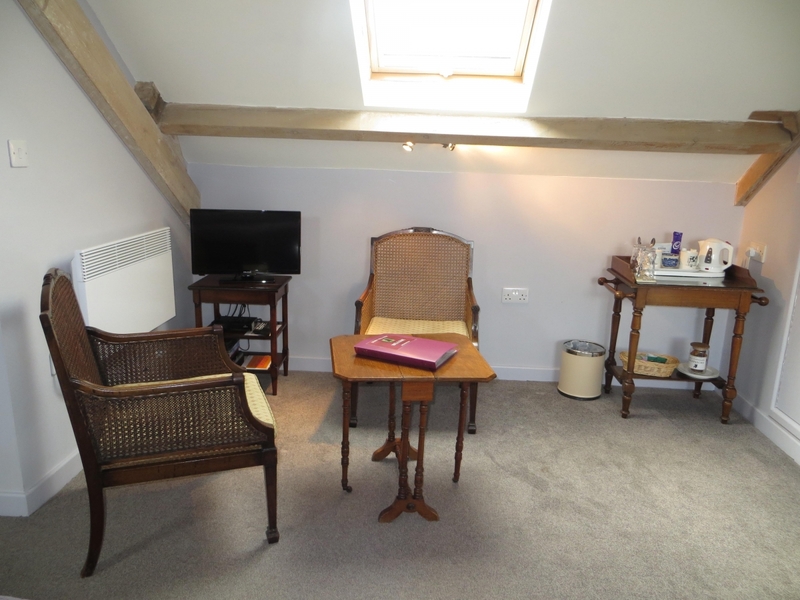 It has a sitting area with two comfortable chairs, hospitality tray with homemade cookies, coffee table and a TV with freesat and a DVD player. 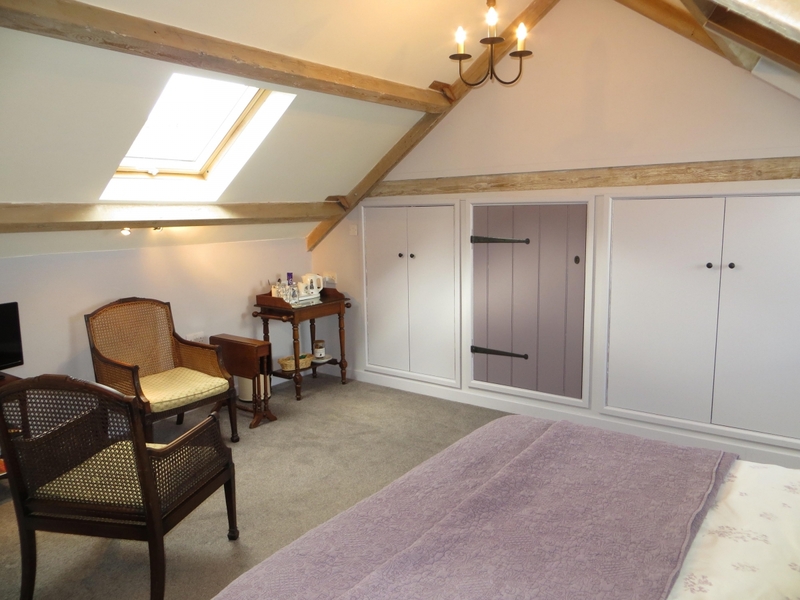 It has ample storage, with built-in wardrobe and cupboard space. Other facilities include independently controlled heating, a dressing table with mirror and hairdryer. All the furnishings are in 'country house' style. Toiletries are provided in the shower room, which has a purpose-designed shower enclosure, w.c., basin, further heater and heated towel rail, mirror & shaver point. 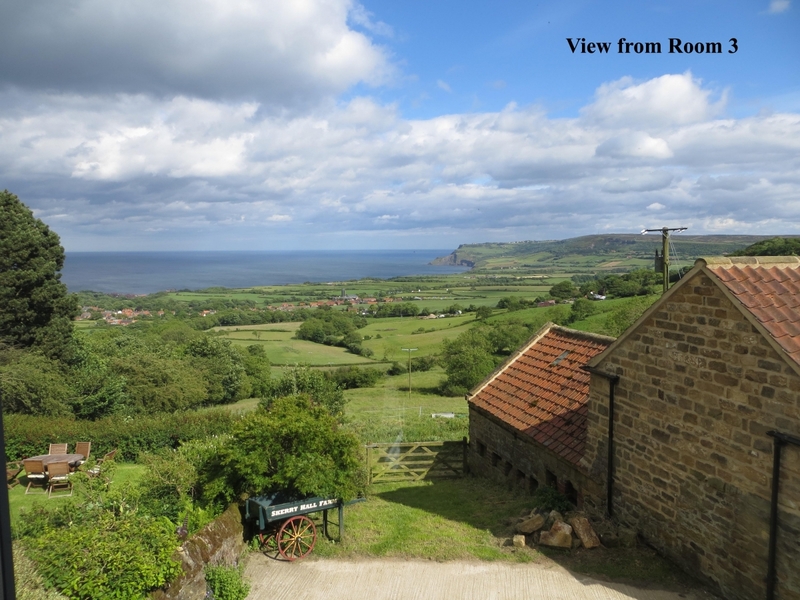 The shower room has a view over the field to the rear of the house. 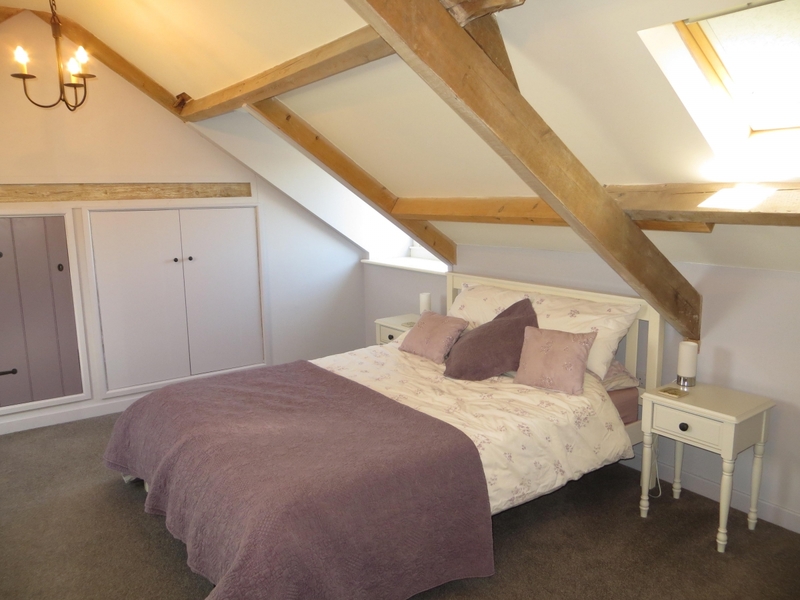 The price of this room is £120 per night for two people sharing, to include full breakfast.